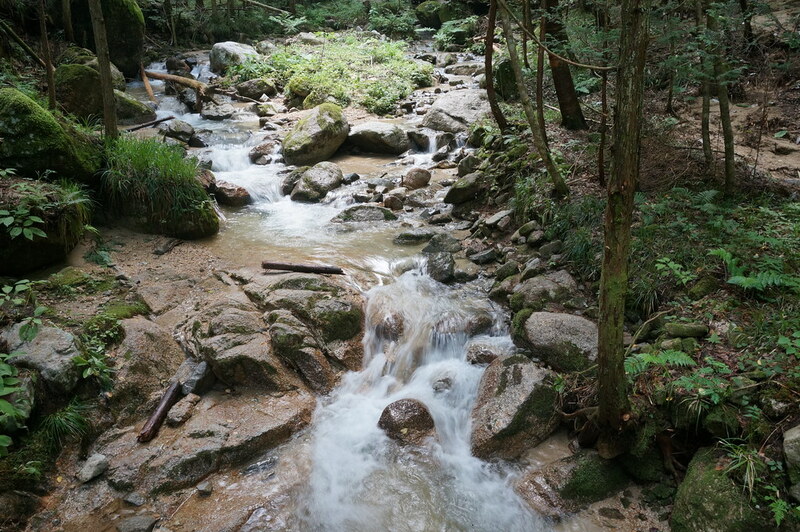 The reason we were staying in Magome was to walk the Magome – Tsumago Trail (pronounced MA GO MAY and SU MAR GO). 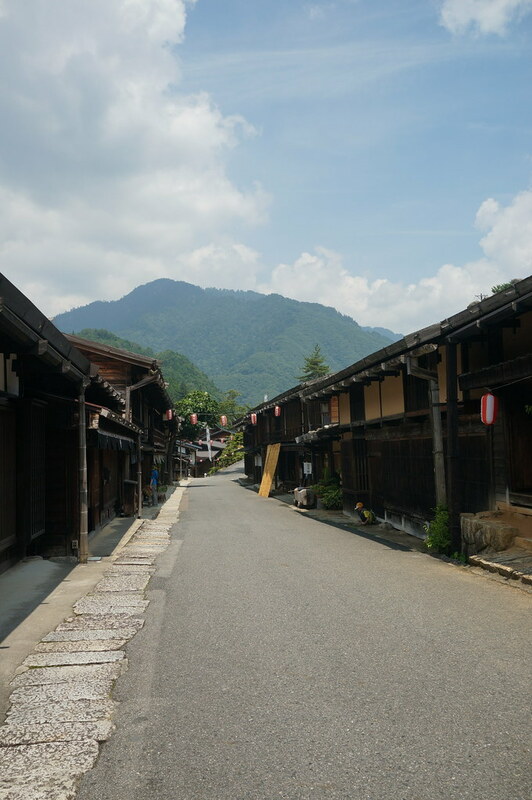 Hundreds of years ago a highway known as the Nakasendo, ran between Kyoto and Edo (modern day Tokyo) which had 69 stations along the route. 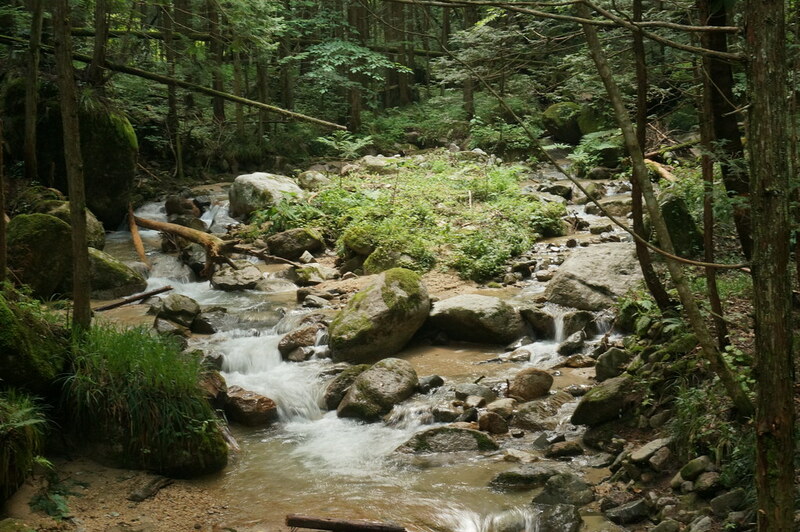 13 of which were in the Kiso Valley, located in the Southern Japanese Alps. 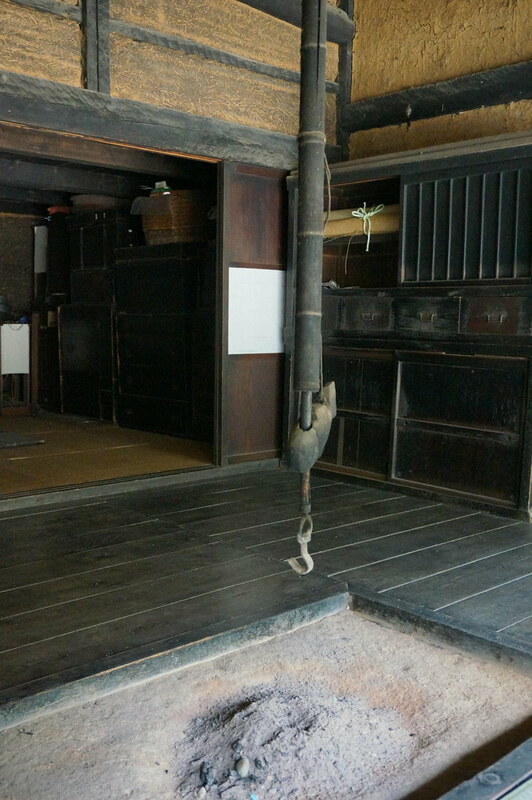 This section was known as the Kisoji. 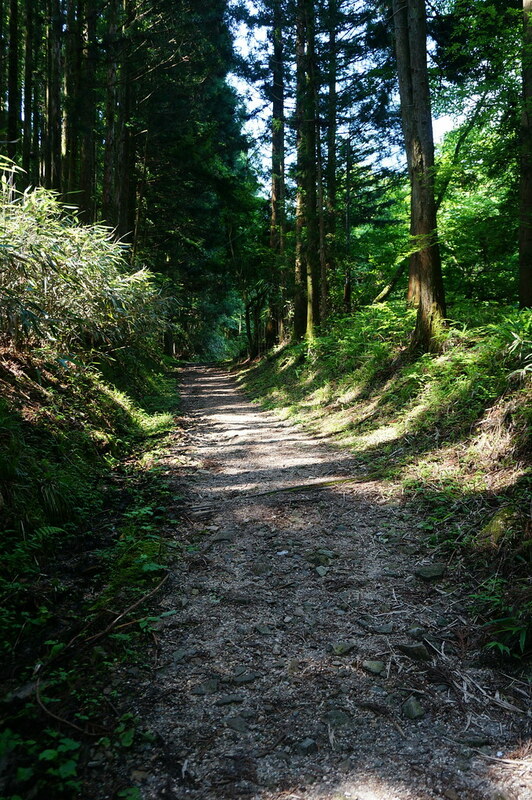 Very few sections of the old highway exist anymore, but the section between the post towns of Magome and Tsumago has been preserved and is a very popular walking trail. 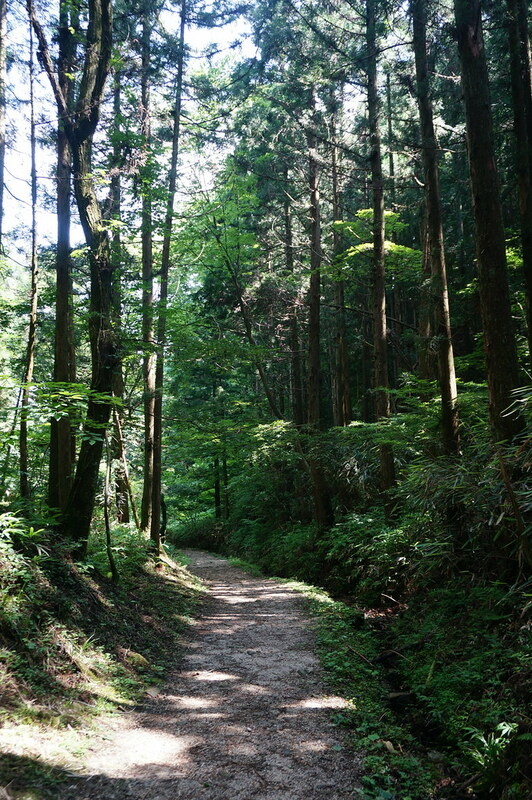 We left the ryokan at 9am and shoved our bags in the boot of the car, then set off on the trail. Although it was only 9am it was already very hot. The sun was shining and the mercury must have been over 30°. The first section of the walk wasn’t very good. 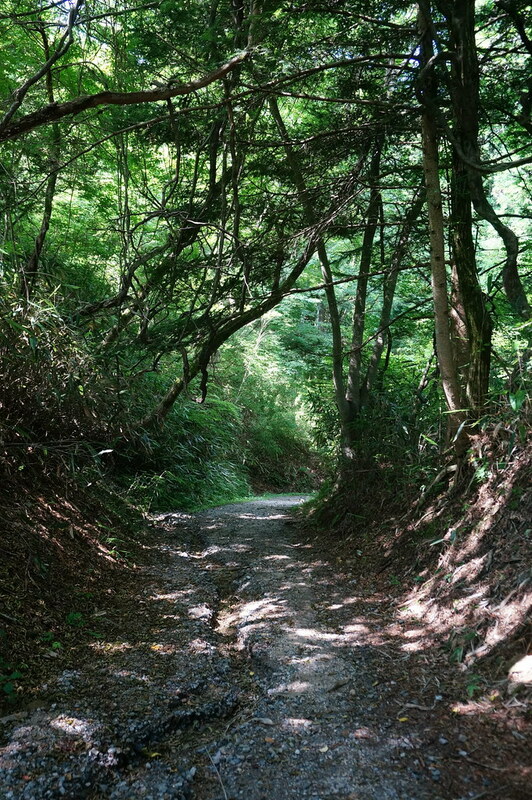 It was a tarmac road and uphill with no shade. Our fitness levels have been reduced to the point where we are constantly tired and even short uphill stretches leave us out of breath (we have been on the go every day for 9 months with only a week or so rest in Nepal). Walking up the hill in the full sun was not good, we were dripping wet and boiling hot. This continued for about a mile until we finally reached some trees and shade. From then on we were mostly in the shade. It was still hot and humid, but far better than been exposed to the sun’s power. Wild bears live in these woods and every now and again we’d pass a bell with a sign saying to ring it hard and continuously if you see a bear. In northern America people carry guns just in case they spot a bear and it gets inquisitive, here they just have a bell to scare it away. 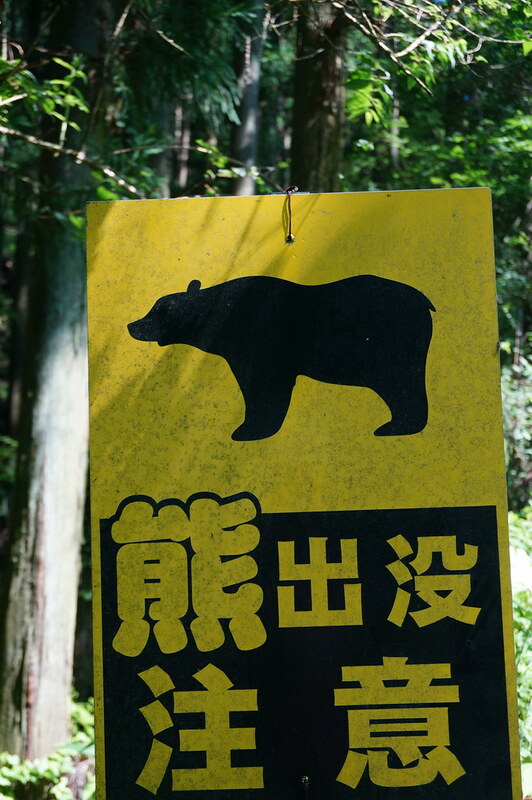 I like that… I just hope that we don’t see a bear, or if we do we’re near a bell and it works in scaring it away. Fingers crossed. The walk through the woods was nice. 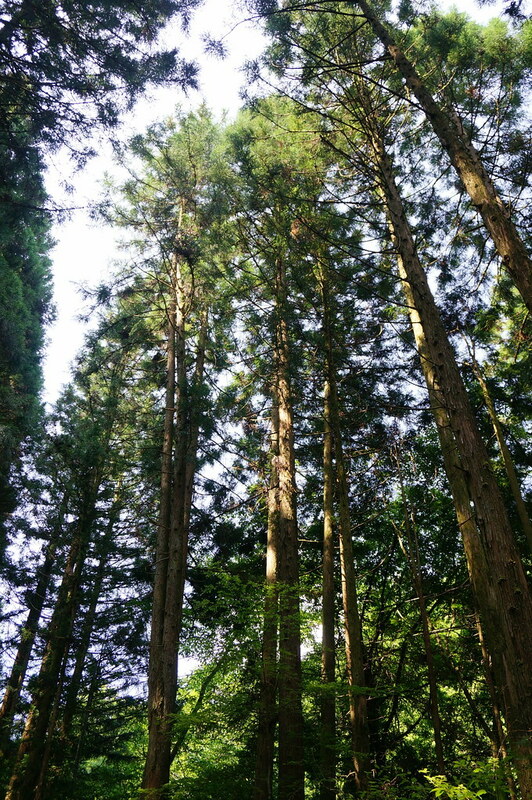 Nothing amazing or spectacular, just nice pleasant woods. I say that because we read reviews of the trail before we set off and people were raving about how good it was. 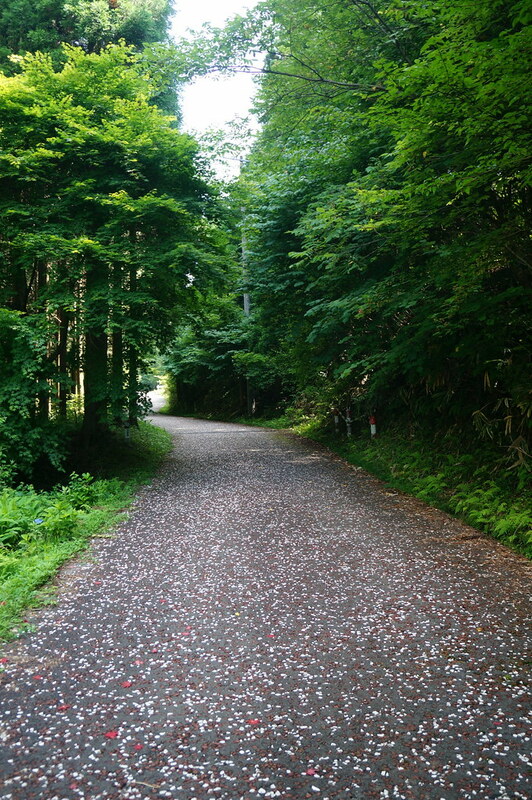 We like this kind of walking and area. It was green and pleasant and quiet. The path had continued uphill for a bit more in the shade before heading downhill for quite a while. As we approached a building we saw a snake slithering away from us into the bushes. In the UK we don’t see snakes (trust me we’ve walked all over and far off the beaten track and never seen a snake in the UK), so seeing snakes is a terrifying experience for us. Even more so as we don’t know if it’s a dangerous snake or not. The building was a huge open plan area of separate sections, with a seating area near the door and a large fire and kettle further back. We were (easily) persuaded to sit down and have a cup of tea. 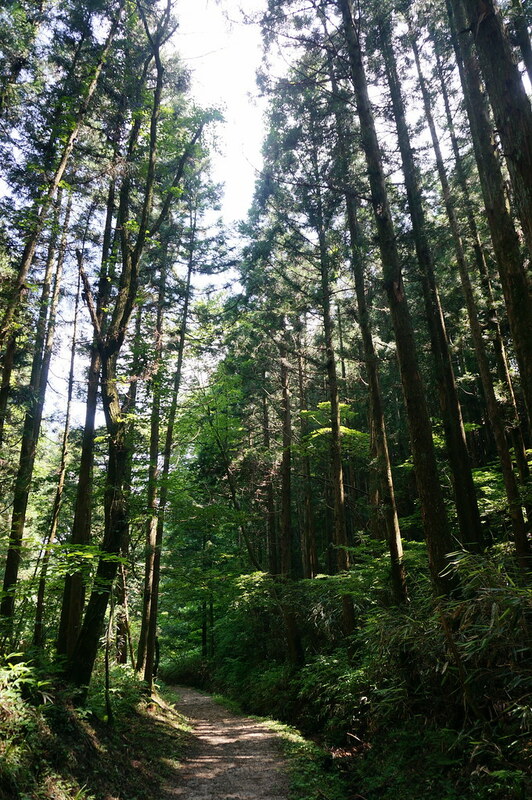 After the tea (the price was voluntary amount in a jar) we continued to Tsumago through the dense woods. We walked in the middle of the path with heavy footsteps to scare the snakes away. 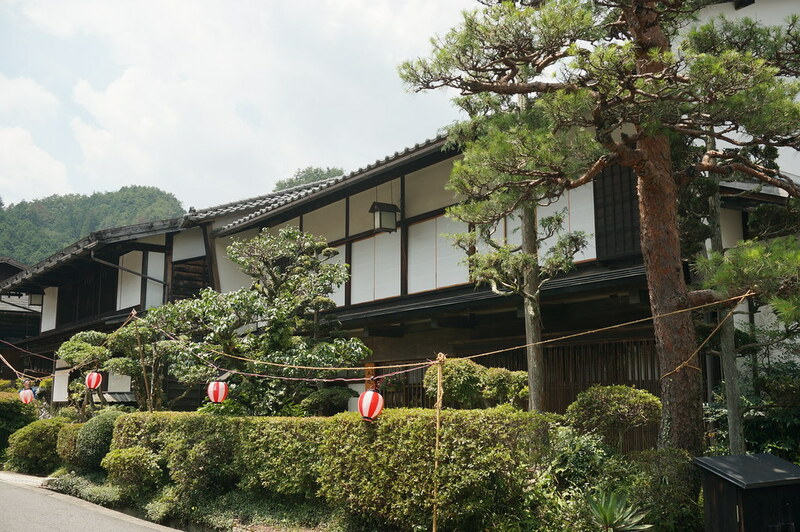 The last few hundred metres into the village of Tsumago was on the road and in the sun again. Bloody hot! 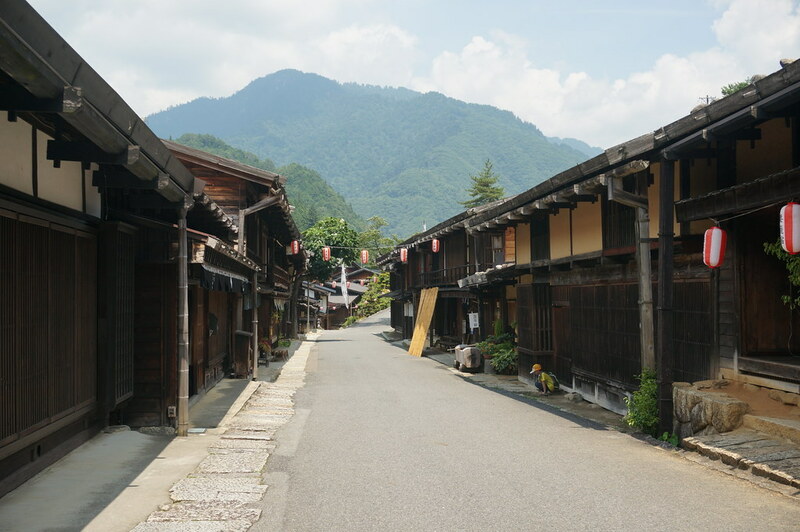 Just like Narai which we’d visited the day before, Tsumago had been built up against the road and as such it was a single street of old buildings. 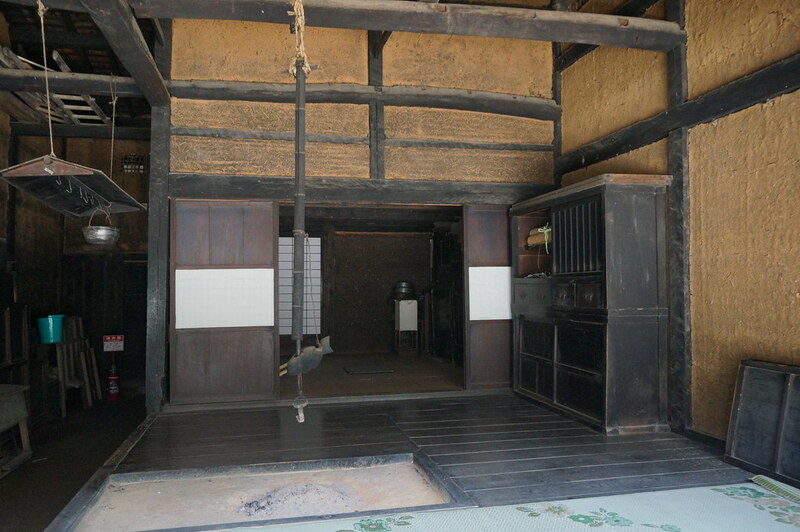 We visited a commoner’s house. It only had the two rooms and a hearth. 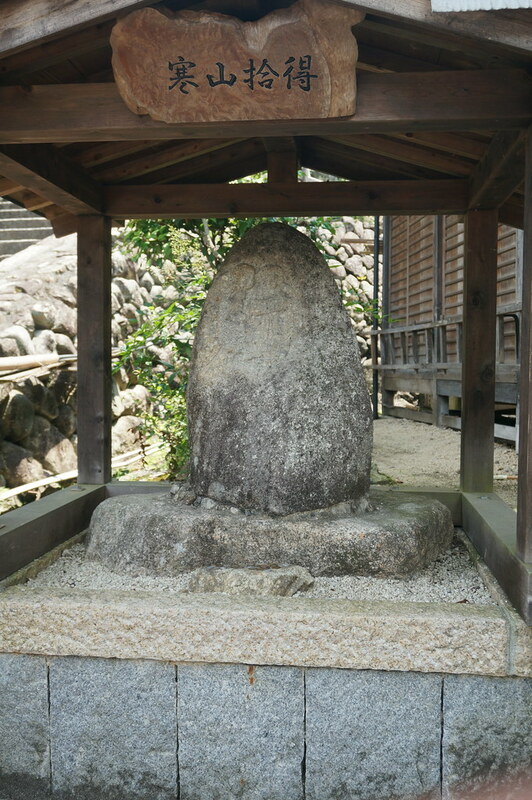 Opposite it was a longevity stone. If you touch this stone it’s supposed to increase your lifespan. After climbing Taishan I already have a hundred years in the bag and I’m estimating this stone gives you +10% lifespan (it seems a reasonable number to me), so now I guess I’m here till at least the age of 110. Yay me! As the walk had been 5 miles and taken us 2hrs, it was not far off lunch time. At the end of the village was a couple of restaurants. I picked one and walked in. 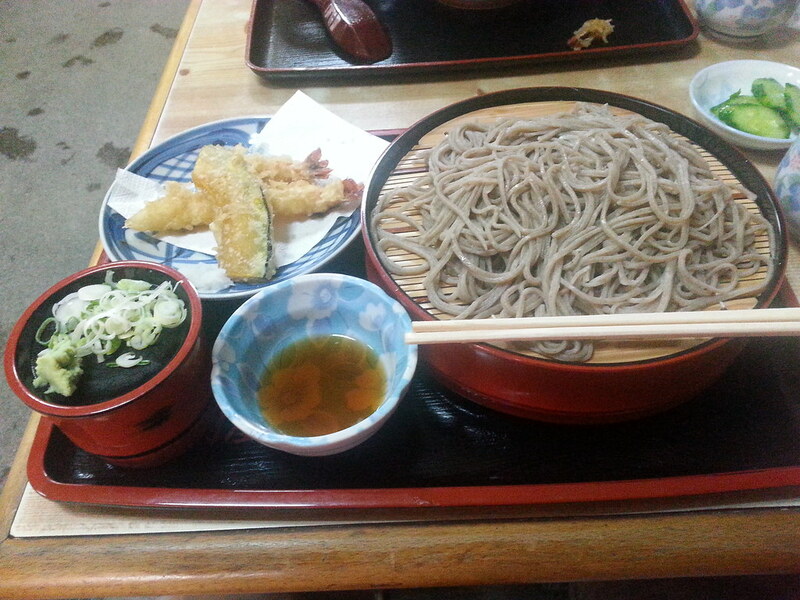 The menu was very short with a choice of three hot and three cold dishes. 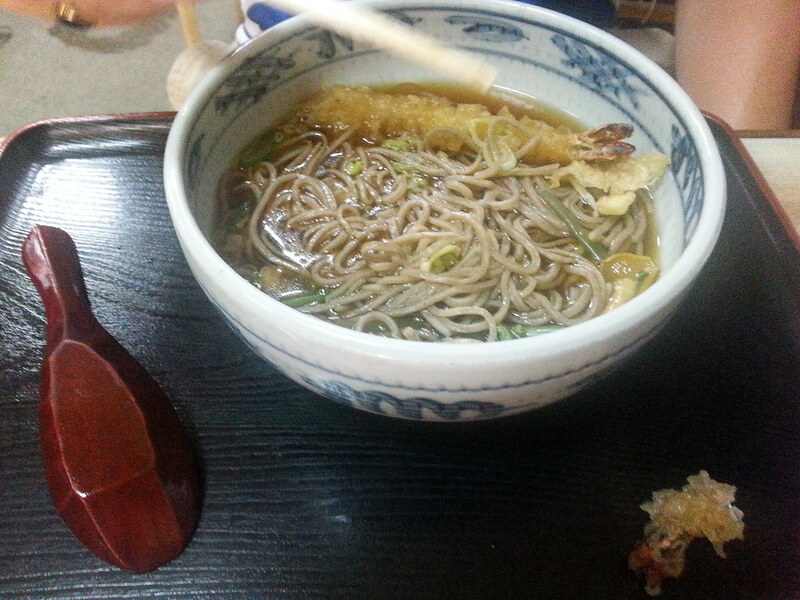 Annemarie chose a cold buckwheat noodle dish and I chose a hot udon noodle dish. Mine came in a hot stock and tasted pretty good, whereas Annemarie’s was dry and cold and not very nice. As with many Japanese dishes it came with a few condiments and side dishes, all of which have a specific purpose. As soon as Annemarie was about to dip something in the wrong dish then woman would come over and quickly show her which dish should be used. I suppose that’s good, you want the optimum flavour and each piece of food will go best with a specific condiment, but on the other hand eating every mouthful with the fear that the woman was going to come over and have to give another lesson on how to eat left Annemarie feeling less than happy about her meal. Plus she didn’t really like the taste. After eating we left and walked back through the village. We looked in as few of the shops. They all sold the same items. Lacquered goods such as bowls, cups, spoons, etc, or chopsticks. 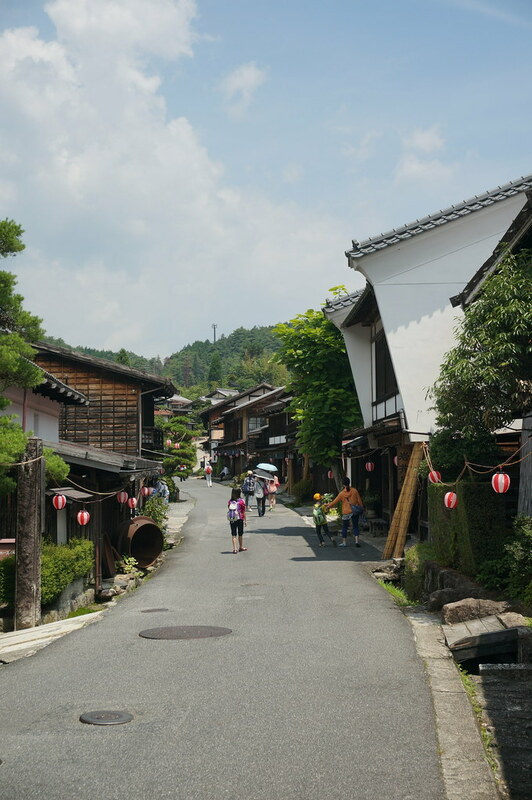 Not interested, we set off to walk back to Magome and drive back to Nagoya to drop the car off. The walk back took a couple of hours and passed without incident. The uphill sections were far longer than we’d remembered and seemed to go on forever. We passed a couple of westerners and the odd Japanese walker (all the Japanese had bells on them to scare away the bears). Most of the bells by the path were near streams. I guess the bears come down to these streams to drink and that is where they come into contact with humans. We saw none, but Annemarie spotted another snake slithering away. 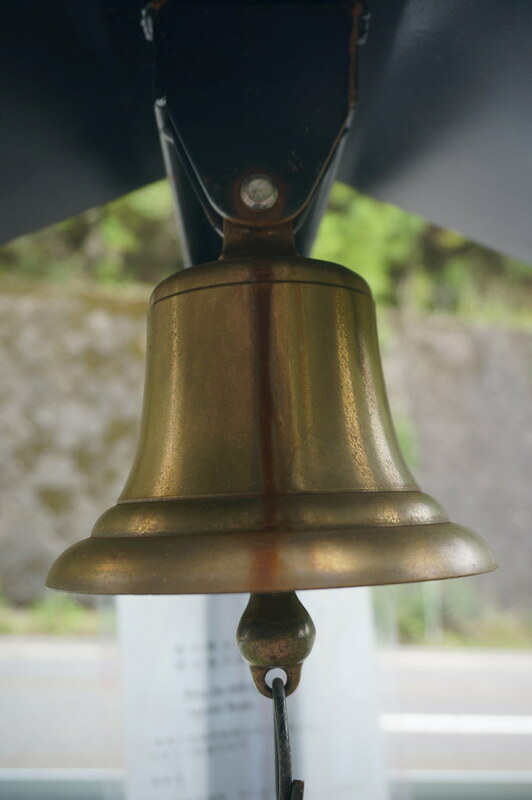 We want a snake bell! We got back to the car before 3pm and the temperature was now very hot. Japan has drinks vending machines everywhere and the top of the village was no exception. We sat in the shade and enjoyed a cold drink. I don’t think I really mentioned this before, but vending machines can be found on everywhere in Japan, in every shopping area there will usually be a couple, in tourist attractions, on quiet back streets, in car parks, even in the countryside. A cold coffee (iced coffee is very popular in Asia) vending machine, then a couple of cold drinks machines. Sometimes there’s an ice cream vending machine. We opened the car and turned the air con on, it showed the outside air temperature was 38° (and with the sun on us it felt hotter). This was at the same time as the UK was making a big deal about a heat wave and temperatures reaching 30°. Back in Nagoya we dropped our bags off at the hotel then took the car back to the rental place. I’d driven the car as efficiently as possible over the past week and I was looking forward to seeing what fuel efficiency I’d achieved. I’ve generally been critical of hybrids and now I wanted to know if I was right or wrong. I filled the tank up twice and achieved 61mpg and 63mpg. That’s a little better than I got from our 1.6 TDCI Ford Focus, which would achieve about 54mpg from a combination of city driving, motorway and country roads. Motorway runs it could do a bit over 60mpg and in Switzerland I achieved (at over 80mph) 74mpg. So the fact that this car only got 61-63mpg when I was really trying is poor in my opinion. The car has an electric motor which runs on batteries and can be used at low speed or when driving on the flat to maintain speed. In cities I ran on the motor the majority of the time (I even read the tips and tricks book online to find how to get more from the car). Things like putting it in B (engine braking) when slowing down to a stop at traffic lights will cut the engine, so there’s no idle tick over. Using EVO (electric only) to pull away and drive but not in traffic as it is rather slow! I drove huge distances without the engine been used. To be fair, the problem with the car is the engine, not the technology. I’ve never had a Japanese car for two reasons, firstly I’m not old or boring enough yet, and secondly, the engines in Japanese cars aren’t great for fuel efficiency. This technology of having an electric motor to compliment the engine is a very good idea. In fact, it’s a no brainer! Of course it can’t run the car the whole time, but just that little bit in traffic and helping the car maintain speed on the flat will cut the time the engine is running by some amount. Add that time up across all cars on the road and it’s a lot of pollution cut out and plenty of fuel not burnt. It’s a little step in the right direction, for very little effort on our part. Exactly the steps the human race should be taking to reduce our impact on the environment. Car makers should be working very hard on making hybrids smaller, lighter and the norm. As we walked back to the hotel we saw a Nike store. 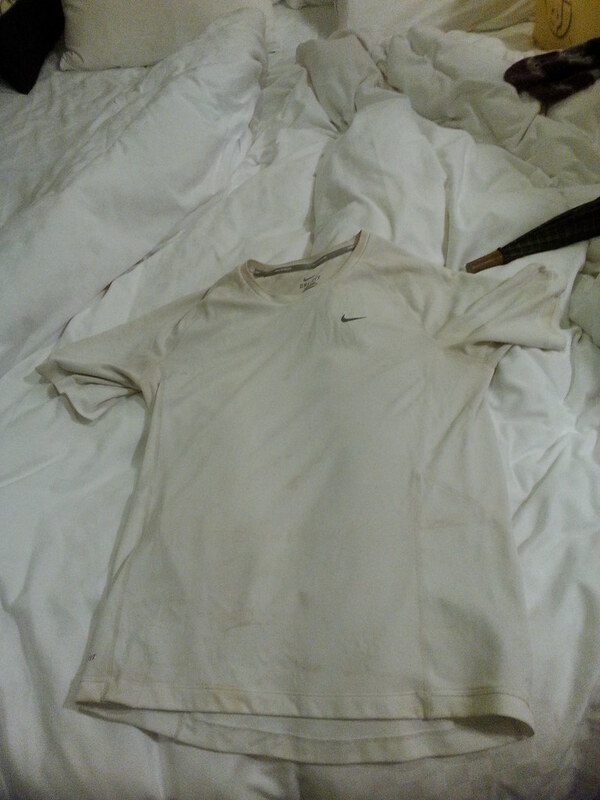 I’d bought a white Nike t-shirt in Bangkok and really liked it. It had hid the sweat marks and felt very nice to wear, plus it kept me cooler than some other t-shirts I have for the trip. But eventually that t-shirt was overwhelmed by sweat and turned yellow in many places, plus the continual washing had turned it grey. Also white acts as a magnet for food and it had a few food stains on it. I wanted to replace it since I finally binned that t-shirt (at Annemarie’s insistence) when we reached Japan. Now was my chance. I bought an identical white t-shirt and Annemarie bought a purple version of the blue Nike t-shirt she’d bought in Bangkok. With that bit of shopping complete we bought our evening meal from the Lawson convenience store (which was on the ground floor of the building our hotel was in) and sat in our tiny hotel room eating it. The convenience stores are great for food, so many noodle and rice dishes to buy, plus a few salads, curries and pasta dishes. The stores have a microwave too, so some meals can be heated in there and eaten immediately. All chopsticks, spoons, straws are provided and usually we get napkins included. A very handy and cheap option for eating in Japan. We have since found out that Japan is the only Asian nation to offer this service. Thailand, China, Philippines and South Korea rarely have spoons, forks and straws. 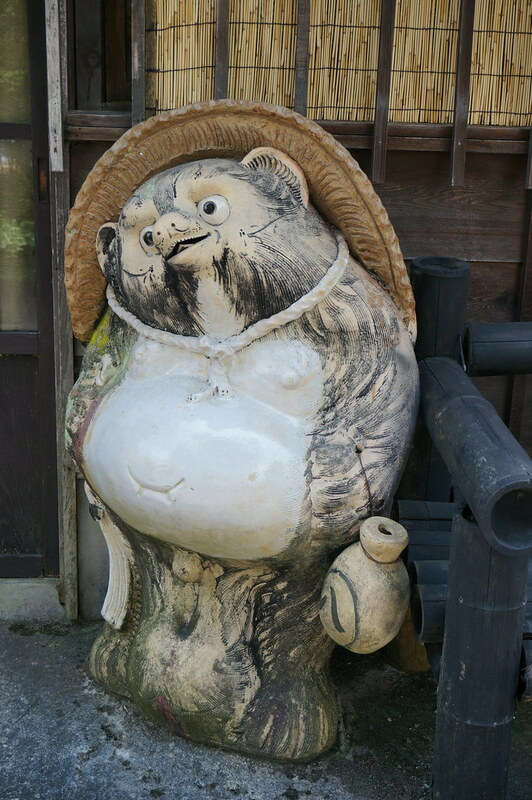 Posted from Kiso District, Nagano Prefecture, Japan.